UNITED NATIONS, Jan 16 2019 (IPS) - As the threat of water scarcity increasingly grows, many have turned to the Earth’s plentiful oceans for a solution. However, this has created a new risk threatening public and environmental health: brine. In a new study, the United Nations University’s Institute for Water, Environment, and Health (UNU-INWEH) assessed the state of desalination around the world as countries increasingly convert sea water into freshwater for its citizens. “There is an increasing level of water scarcity across the globe, but there are hot spots of water scarcity like those in the Middle East and parts of Africa. They really need an additional supply of water that they can use to meet the requirements of their population,” one of the report’s authors Manzoor Qadir told IPS. 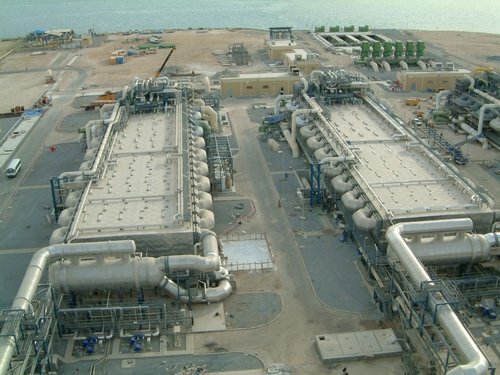 Across 177 countries, there are now 16,000 desalination plants, many of which are concentrated in the Middle East and North Africa where water scarcity is already a reality. As desalination plants continue to pop up, so does a hypersaline, chemical by-product known as brine. In fact, for every litre of freshwater a plant produces, 1.5 litres of brine is produced, a figure that is 50 percent more than previously estimated. Globally, desalination plants produce enough brine in one year to cover all of Florida in one foot of the waste. “Historically what we used to see was the equal volumes of brine versus desalinated water—that is not true…there is more brine produced than desalinated water. It really needs efficient management,” Qadir said. The study, which is the first to quantify brine production across the world, found that just four countries are responsible for 55 percent of global brine: Saudi Arabia, United Arab Emirates, Kuwait, and Qatar. Almost 80 percent of brine is produced in plants near the ocean and are often discharged back into the ocean, posing major risks to ocean life and marine ecosystems. 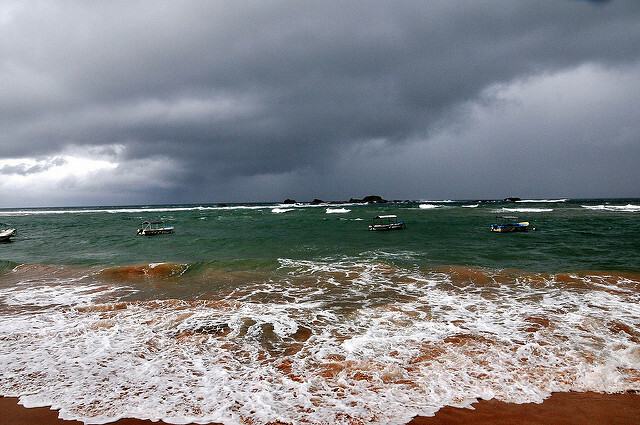 According to the UNU-INWEH report, untreated brine increases both the temperature and salt concentration of sea water. Together, these conditions decreases the water’s oxygen levels, impacting sea organisms and the food chain. The desalination process also uses toxic chemicals such as copper and chlorine, polluting oceans when released. As desalination plants are predicted to increase in number, the assessment highlighted the need for improved brine management strategies to avoid further and future environmental damage. The report’s authors pointed to the various economic opportunities to use brine including in the irrigation of salt tolerant crops, electricity generation, and even aquaculture. “Using saline drainage water offers potential commercial, social and environmental gains. Reject brine has been used for aquaculture, with increases in fish biomass of 300 percent achieved,” Qadir said. “”There is a need to translate such research and convert an environmental problem into an economic opportunity,” he added. But first and foremost, countries need to minimise the volume of brine produced including the adoption of more efficient modern technologies, Qadir noted. “[Middle Eastern countries] especially need to take concrete action just to make sure that there is an environmentally feasible management of brine,” he told IPS, while also acknowledging the importance of desalination. UNU-INWEH found that eight countries including the Maldives, Singapore, Antigua and Barbuda and Qatar can meet all their water needs through desalination. And it is predicted that more and more countries will rely on such plants for their water needs. “We need to raise the importance of global water scarcity and the key contributions of desalinated water, but at the same time we should not just ignore the other part of desalinated technology which is brine production,” Qadir concluded. Why not remove all water from the brine, thus reducing it to solid salt? The salt can then be sold for food or else buried in sealed containers.